Have you got yourself the hottest necklace around! 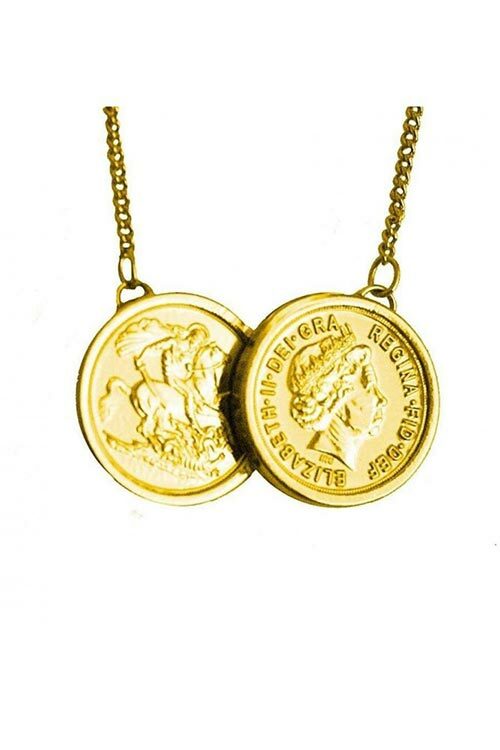 This hugely popular Two Coin necklace in gold has been seen on so many celebs from Holly Willoughby, Sam Faiers to Michelle Keegan to name a few. Gold chain extends from 16-18"
This necklace has appeared on so many celebs its not hard to see why. Beautifully made and being gold it goes with any outfit. This is a must have before they sell out again! I was very impressed when I received my necklace, the packaging was just lovely and the quality of the coins fantastic. My order only took a couple of days to arrive very impressed and will be shopping more from this seller. This was a gift for my sister as I knew she wanted a double coin necklace and she was very happy with it. Ordered the 16 inch chain which hangs at really nice length. This coin necklace is truly stunning and outstanding quality...really really pleased with my purchase...I've recommended to friends and family as received so many compliments! You will not be disappointed if you buy this item...also very well presented and great service. Excellent , very good value for the money , love it! speedy delivery to. Thank you very much . highly recommend .